There have been seven attacks on humans by Gir lions since last year. 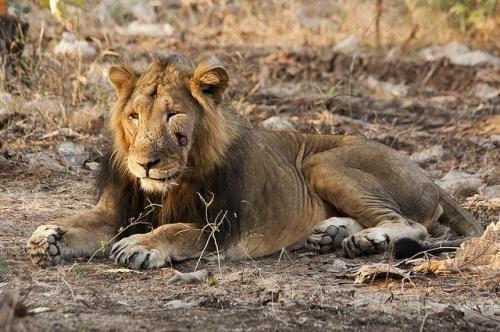 While in December 2014, lions killed two people in two separate incidents in Gujarat outside Gir, four more have been killed in the past three months. A 30-year-old man was attacked about 10 days ago on May 28. All the attacks have been seemingly unprovoked and outside the Protected Area (PA) of Gir National Park and Wildlife Sanctuary. Wildlife expert and authority on Gir lions Ravi Chellam, who is currently the executive director of Greenpeace India, talks about the attacks, the status of protected areas and translocation of lions he has been advocating for almost three decades now. All the seven attacks since last year are seemingly unprovoked and non-intrusive. The humans were carrying out their activities in areas that are traditionally populated by humans and abuzz with activity. What could be the possible reason for lions venturing into human areas and attacking? Lions are not shy, especially in the Gir context where they are constantly exposed to human beings and their activities. Decades of such exposure tends to change the behaviour of the lions. Lions and many other animals, including tigers, tend to use human-dominated landscapes, especially during periods of a day when human presence and activities are lower. Hence, lions’ presence in human-dominated areas is neither new nor surprising. In terms of trying to find the reasons for their attacking human beings, I have very little evidence to hazard a guess. Have the lion numbers grown beyond the carrying capacity of the forests? Carrying capacity is not an easy concept to understand nor does it stay constant over years. Carrying capacities are also not easy to estimate. What is a fact is that (a) large number of lions are living outside the protected area and in that sense, yes the entire population cannot exist within the boundaries of the protected area. Is the Gir protected area low on prey-base? No. Gir has a diverse and dense prey base. Is here a problem of habitat fragmentation and do you advocate expanding the habitat at Gir? It is not easy to increase the size of protected areas nor expand habitats for wildlife. In most places in India, wildlife and human populations live right next to each other and are constantly interacting, and mostly this interaction, is peaceful. Habitat fragmentation is a problem across almost all PAs as our policy and decision makers do not recognise the need for maintaining the ecological integrity of our wildlife habitats. You have been an active advocate of translocation of Gir lions to Madhya Pradesh for a long time now. Please elaborate on the viability of the same in today’s context. Do you think it still holds good? It still very much holds good as the logic for the translocation is to mitigate extinction risks. A single population of an endangered species restricted to a relatively small area is not good conservation practice, especially when a significant part of the population resides outside the PA. The only way to mitigate this risk is by translocating and establishing additional free-ranging populations at significant distances away from the main population. Lions in 100 years havent killed as much as one tigress did in india, then how about adding up all the times tigers went man-eater? We are talking about the tens of thousands compared to indian lions who hasn’t even broken in 500 yet. Most of the reasons lions attack is provocation, there are many videos of outsiders antagonizing the lions, theres a video on youtube a person on a motor bike snatches a kill away from a lion, another follows a lion deep into the woods while chastising it, many sleep right next to them. These are wild animals, so they should atleast have their boundaries and space. Lions dont forget, if they are antagonized, they will treat the next human with the same as how the last did, so a unsuspecting person who is curious or caring will be undone by a lion who was mistreated by another human.